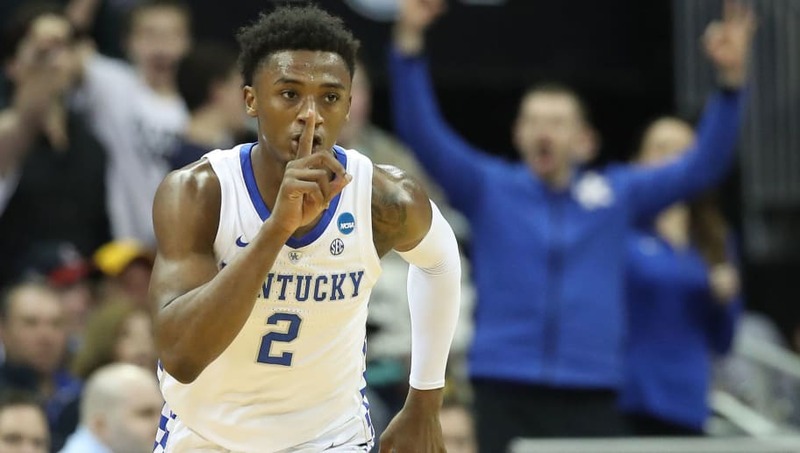 ​With ​PJ Washington already leaving for the draft, another crop of star guard recruits coming in, and a generally week point guard draft class, ​Kentucky​ point guard Ashton Hagans could have easily bolted for the professional ranks. Instead, he will suit up for his sophomore season, which is a huge boost in Kentucky's quest to reclaim the SEC crown from Auburn. The raw box score numbers (7.7 points, 2.6 rebounds, 4.3 assists per game) won't make anyone's jaw drop, but watching Kentucky with Hagans on the floor and with him on the bench speaks volumes to how valuable he was last season. While ​​Kentucky is still sitting on the edge of their seats as they await the decisions of players like Tyler Herro and Keldon Johnson, Wildcat fans can rest easy knowing that Hagans will be back in Lexington next season.